Other changes were done today. 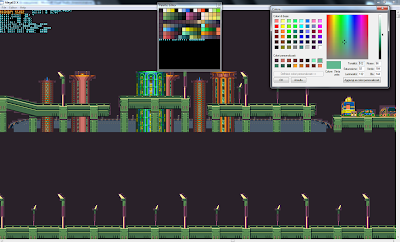 I've improved the palette editor that now display dynamics palettes (If you don't know this, the game change the palettes in real-time to show more color stuff in a single level) and hold the addresses to edit them. 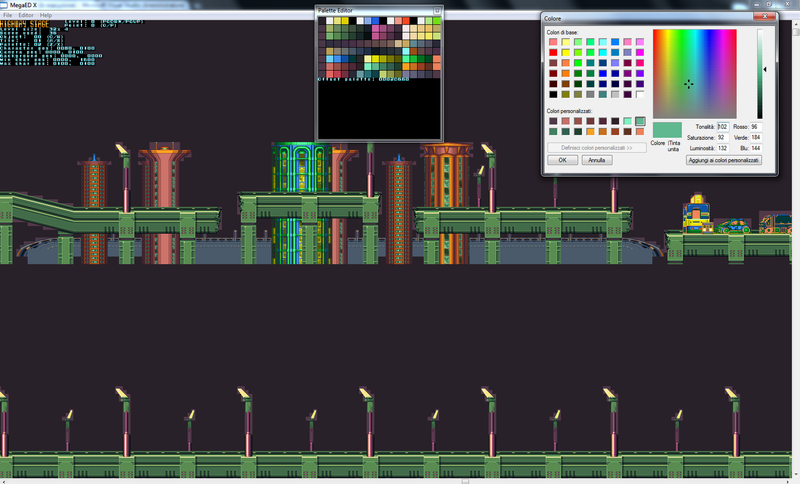 I want to do also highlight in a level the color that have you selected on Palette Editor to recognize quickly the palette that you want to edit. I've extended the debug infos and make operable the buttons Q, W, A, S, Z, X, O, P, D and B to change various parameters that are used for the dynamics of tiles palette and objects (that are not implemented yet), to change the view between background view and level view or to display/hide debug infos.